It’s been ages since I’ve made lamb chops. I use to make them at least twice a month. Then one day my family told me they really weren’t fond of them and preferred I make something else – that was years ago. 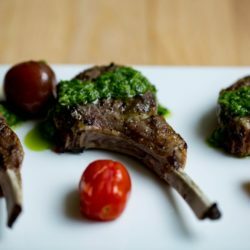 So the other night I decided to make Grilled Lamb Chops with Fresh Mint Sauce. It was refreshing, delicious, and pleased all who indulged! Most often I go to Whole Foods now for all my grocery shopping, except for paper goods, etc. I feel confident with the quality of the food I purchase and how it’s been farmed. When I went to pick up some lamb chops they only had the rack of lamb left, which typically comes with 8 on the bone for a single rack. Since I wanted to grill it I had the butcher slice them into individual portions. I could have left it whole, but wanted a quick cooking method – 1 1/2 – 2 minutes tops, per side. Whole Foods had New Zealand lamb which I’ve read is apparently the best lamb you can get, based on their farming practices. New Zealand lamb is grazed on some of the world’s most fertile pastures, and is 100% grass fed and grass-finished by family farmers and ranchers. 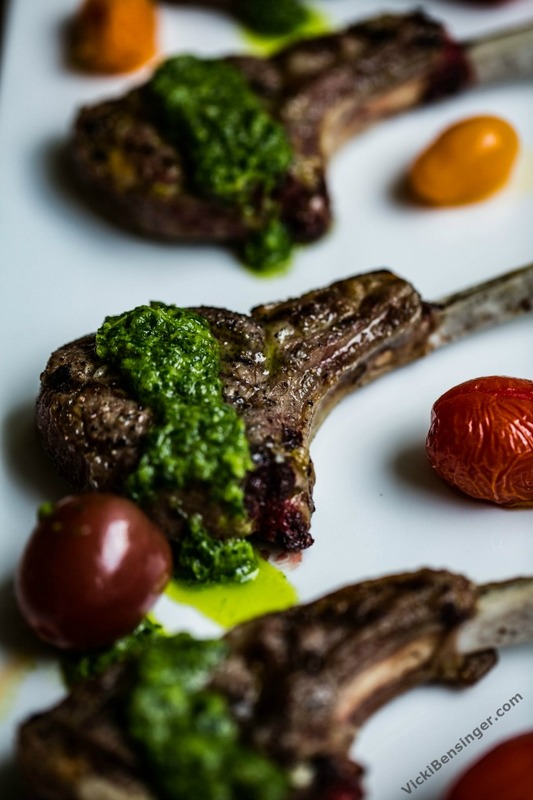 The temperate, subtropical climate, ample rainfall, and emerald-green pastures produce lamb with classic flavor. A nature-intended stress-free environment creates exceptionally succulent, tender meat with exceptional tenderness and petite in comparison to American lamb. New Zealand lamb are raised humanely, and never administered growth hormones or animal bi-products. Antibiotic use is strictly regulated and only allowed to treat illness, which rarely occurs. Pasture raising on a nature-intended diet with space to roam greatly improves the health of lambs. Artificial growth stimulants and hormones are never administered. Grass Fed Lamb is naturally lean and lower in fat and cholesterol compared to other grain red meats. Grass fed lamb is higher in Omega 3. 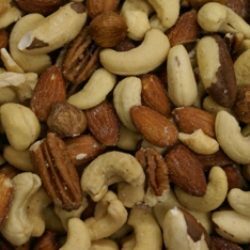 It’s a healthy source of lean protein, minerals and B & E vitamins, which has been proven to aid in living a heart-healthy lifestyle. 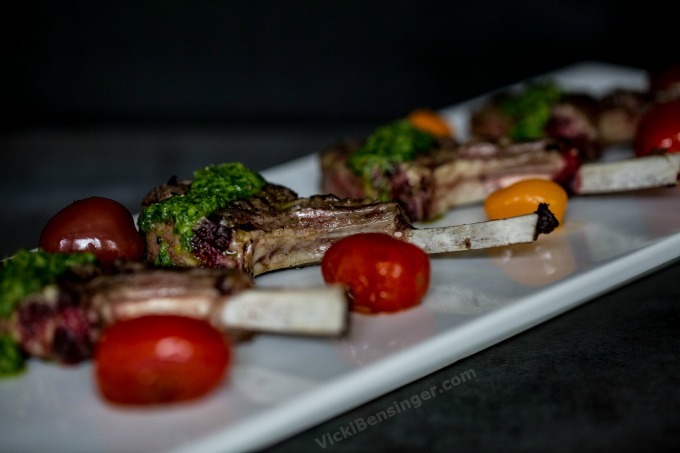 When my kids were little I found myself serving lamb with mint jelly. I figured since they loved jams and jellies it was a sure way to get them to enjoy it. Plus I liked it that way. 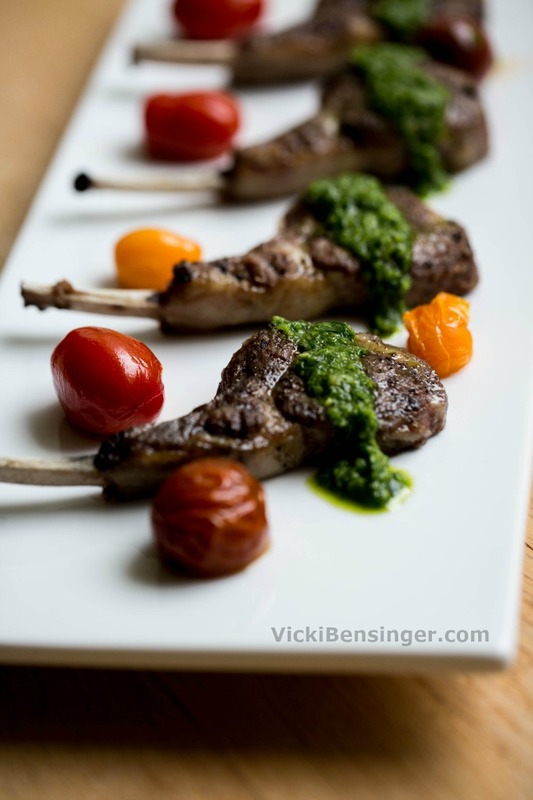 I still like the flavor of mint with lamb, it tastes so refreshing and light that way. I decided to create a mint sauce similar to when I made the Grilled Vegetables & Chorizo Salad with Chimichurri. Twenty years ago I feel like dishes weren’t made with fresh ingredients as they are today. Creating dishes with fresh ingredients not only leaves your body feeling better, but tastes better too! All that’s needed are a few farm fresh ingredients tossed into a food processor or mini processor, give them a whiz to puree, and it’s done. It’s that simple! If you’ve never tried lamb, this recipe is super simple with stellar results! If you’ve had lamb before I know you’ll love this. By the way, Whole Foods/Amazon just slashed their prices yesterday so you may be able to get an even better value now, while still getting the same excellent quality! 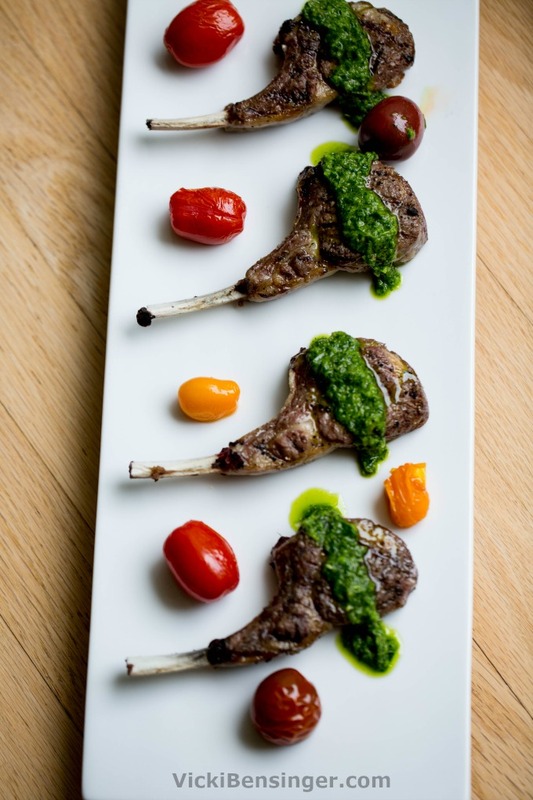 For a healthier alternative to meat with a refreshing flavor try these Grilled Lamb Chops with Fresh Mint Sauce. Set grill on medium heat. Rub olive oil over both sides of lamb chops and sprinkle with salt and freshly ground pepper. Set aside. Prepare Mint Sauce: Place all ingredients for sauce into a food processor and puree'. Season with salt & pepper to taste. Set aside. Place lamb chops on grill and cook 2 minutes per side. They should be rare for the best flavor with a crisp exterior. 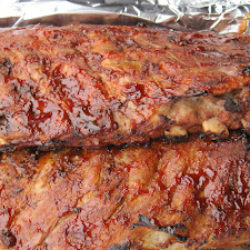 Remove from grill and drizzle Mint Sauce over Lamb Chops, or serve sauce on the side at room temperature. 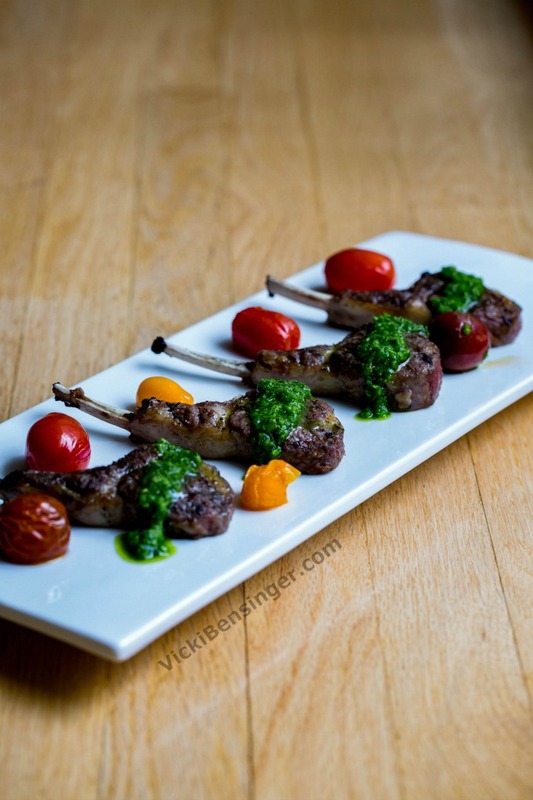 This is a dream for lamb lovers! Thanks Angie, it’s refreshing and so tasty! Yummy Vicki! I think a fresh herb sauce makes everything taste so much better. I love the bright green, vibrant color too! I haven’t cooked lamb very often, probably for the same reasons you stopped. No one seemed to love it but every time I’ve had it at a restaurant I really have enjoyed it! You’ve inspired me to try it again! I know Chris. Sometimes we just have to make what we like. I’m glad I did. Can’t wait to see how you prepare your lamb. I hadn’t made them in ages either and it was such a nice treat. Now that the kids are grown they like them. Amazing how suddenly foods they disliked so much as children suddenly taste incredible! Go figure!!! Hope you enjoy the recipe if you try it. I’m glad you love it. 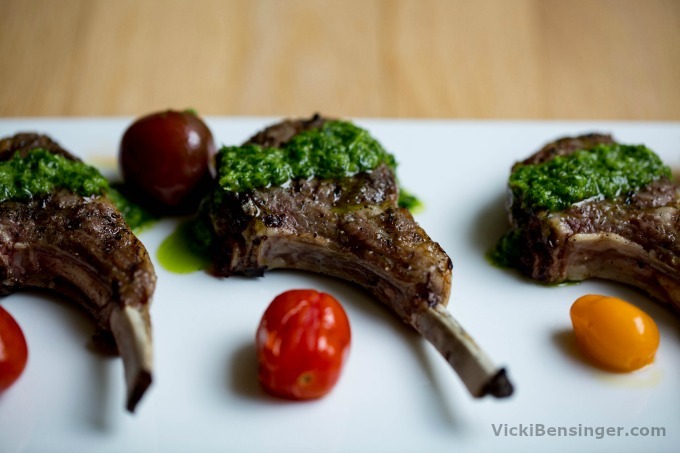 I hope you’ll try these quick and tasty lamb chops. 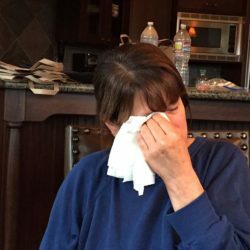 Wow Vicki – these look fantastic. It’s been ages since I’ve had them myself. 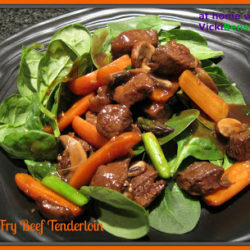 Lovely recipe and completely mouthwatering! Thank you! I know it’s been a while since I’ve made lamb as well. It was a welcome treat and one I’ll be sure to start making more often again. I hope you’ll give this recipe a try. It’s very easy! Oh that mint sauce…hand me a big spoon! What a beautiful presentation! We love lamb and mint is a really nice complement. Great sauce and awesome dish!